What do these three plans tell us about the future of Silicon Valley and what do they mean for the region as a whole? Can we expect something different than auto-oriented suburbs? Are we “thinking different” — or repeating the mistakes of the past? The table below shows the size and planned development capacity of these three megaprojects. 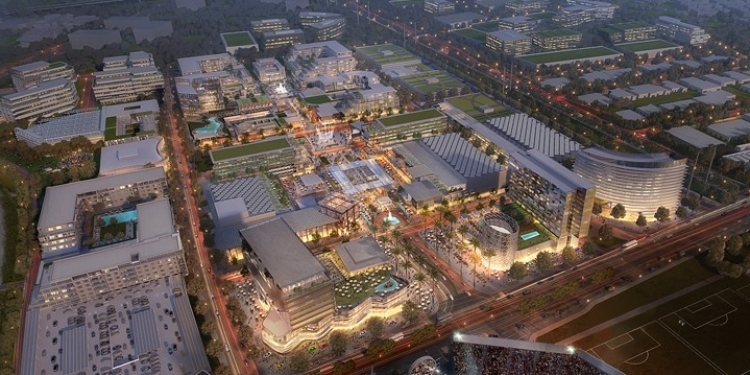 At full buildout, the North Bayshore area would have 36,355 jobs. It’s great that Santa Clara, San Jose and Mountain View aren’t afraid of new development and are thinking big — we need more places for people to live and work if the Bay Area is to continue to thrive. But we can’t overemphasize the size and scale of these new plans. 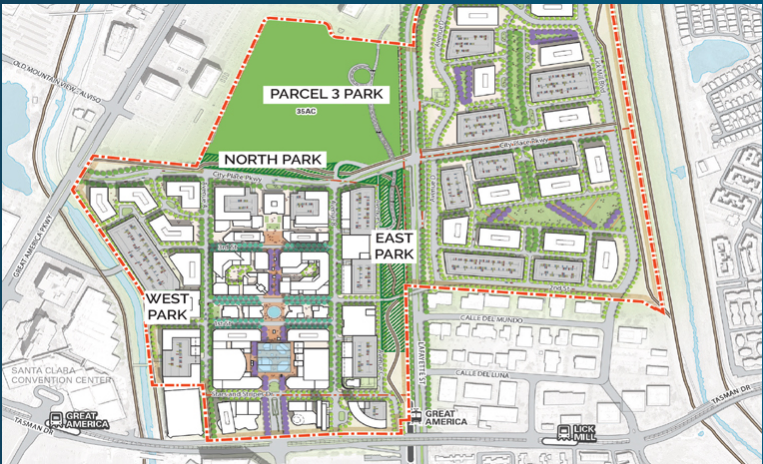 To put their size in perspective, the North Bayshore Plan is about the size of the Stanford Research Park. 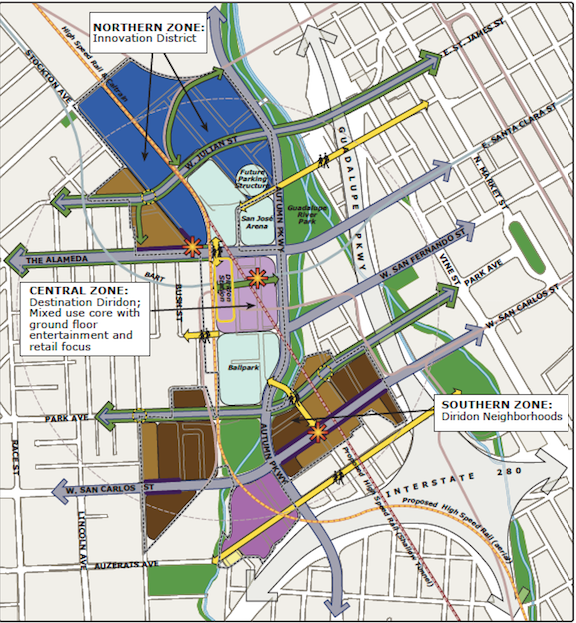 San Francisco’s Transbay Transit Center District Plan is only 145 acres and Santana Row is only 40 acres — both seem small in comparison to City Place and Diridon Station’s 240 acres and North Bayshore’s 650 acres. These three projects and plans will do much to determine where people live and work, who will be able to afford to live here and whether people will have to drive more or less than they do today. The three renderings below show the significant scale of these plans and projects. All cover hundreds of acres and many city blocks. Each of these growth plans has very different implications for how people will come and go. City Place is transit-proximate, meaning it’s near transit but not designed to support transit use because it includes lots of parking and its buildings are oriented away from the street. Diridon Station Area is transit-oriented — designed to take full advantage of its location near high-speed rail, Caltrain, BART, Amtrak, ACE, light rail and regional bus service with walkable urban design and streets that accommodate all kinds of users, not just cars. North Bayshore lacks transit altogether but focuses on reducing car trips in other ways. City Place replaces very low intensity uses (golf course and landfill), so naturally it will result in more travel than there is today. It would be great if the majority of those trips could occur on transit, but the environmental review estimates an additional 140,000 new daily car trips and 8,320 new transit trips. More cars on the road means longer commute times and more greenhouse gas emissions and air pollution. As VTA noted in a comment letter on the project’s draft Environmental Impact Report, there are concerns that the number of car trips resulting from the project could slow down light-rail service, making it less reliable. Although it has no transit, the North Bayshore plan will result in less than 20,000 new daily car trips — about one-seventh as many as City Place. That’s because Mountain View has aggressively pursued transportation demand strategies to reduce driving. The city capped the number of new car trips resulting from development and requires new employers to implement transportation demand management programs and services to reduce driving and meet the cap. New building permits will not be issued if the number of trips exceeds the cap. New development can provide jobs, housing, retail and other amenities. 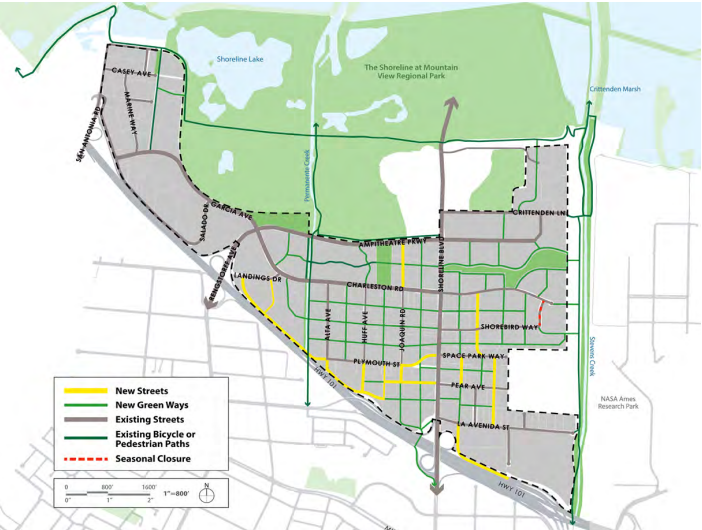 It is also an opportunity to direct growth near transit, connect communities and expand opportunities for walking and biking. The Diridon Station Area Plan is one such example, intended to bring lots of jobs and amenities to what will become one of the most connected places in the country. If we want to reshape growth around transit (as SPUR does), could San Jose locate even more jobs and housing at this critical transit hub? How can Silicon Valley reinvent the way the Bay Area grows? We can’t ignore that these three megaprojects will bring more than 61,000 new jobs to Silicon Valley, but only 13,000 new housing units. (To be fair, City Place is located on a landfill, and environmental regulations limit the location and amount of housing that can be built on this particular site.) But these numbers are symptomatic of a larger and all-too familiar story in the Bay Area. According to the Metropolitan Transportation Commission, the region has built only one new house for every eight new jobs. Cities have every incentive to zone for and build jobs, but not housing. This mismatch between jobs and housing is one of the main reasons San Jose has objected to City Place. Where will all these new workers live? Will new housing be affordable to low- and middle-wage workers? We think it’s a classic collective action problem. Local decisions have enormous consequences for Silicon Valley and the Bay Area as a whole. Let’s start thinking regionally when we design and plan locally.